I got this inspiration from Jen over at Tatertots and Jello! I thought it was adorable so I decided to make one of my own. I wanted to use a heart but I couldn’t find a foam one so I ended up with a traditional circle. I covered it in ribbon like Jen suggests and went to town folding and gluing cupcake liners. It took a while since I used about 250 cupcake liners but it was super simple!! I love everything about Valentine’s Day especially since I adore the color RED!! What Valentine’s decor are you working on?? shut UP! cupcake liners? who'd think it? great!!!! 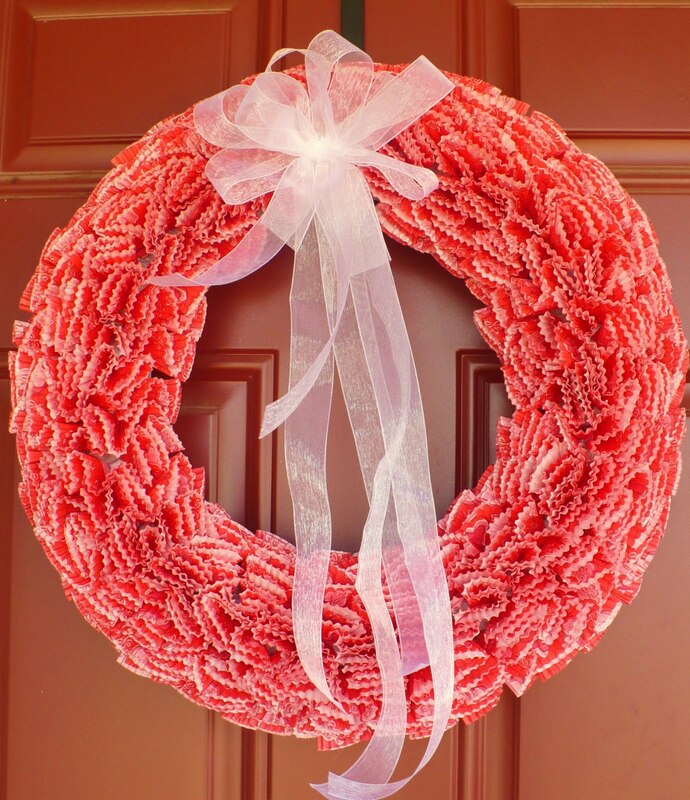 Your wreath looks FANTASTIC! I love how uniform all of your wrappers are. Beautiful!